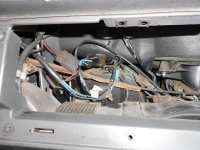 The blue wire on the blower motor is positive and the other negative, so test the blower motor itself to the battery by hot-wiring those two wires to battery positive and negative. 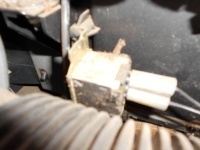 The blower motor should also work in highest fan speed, as there is no resistor in the blower resistor module for that, it's straight through. My truck, an 02 b4000 4x4 keeps blowing the #2 fuse in the fuse panel. it controls the blower motor and a few other things like the reverse lights. It requires a 10A but i put a 15 in just to try it. The fan ran for 15 minutes on high and as soon as i put it into reverse with the fan still on it blew the fuse. I believe it is a short somewhere but im not sure if this is a common problem with an easy fix or will i have to do alot of troubleshooting? Any help is very much appriciated. Putting in a larger fuse is NOT a good idea, ever !!! Let's just say that it's easier and cheaper to burn out a fuse than to burn out hidden wires or assemblies. Your issue sounds like something in the reverse light circuit is shorted. Typically this circuit goes from the fuse box to the switchon the side of the transmission, then on to the reverse light assemblies. 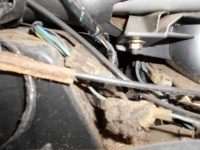 So first thing I'd do would be to unplug that harness from the transmission, and troubleshoot from there. Or go right to the reverse light harnesses, and disconnct hose. Conside your positive voltage like water in a garden hose when you shut off ahead of the &quot;leak&quot; (the short) and nothing blows that fuse, then you're on the right track. My gut feeling tells me it's either a reverse light assembly/harness or the reverse light switch/harness on the transmission. Maybe even corrosion in a reverse light bulb assembly. I was going to do this this week and here we have all the relative information! Thanks buddy! The thing is when you first put the fuse in you can go into reverse without the circuit popping. Its been running now for about half an hour with the blower on full and the fuse hasn't popped. We moved it forward and backwards in the driveway using R and D and it never popped. took it for a run around our block, never popped but when we brought it back home, we backed up the driveway and stopped, put it in drive an it popped. I am leaning more towards something to do with the transmission control module or something that is connected to the transmission that may be rusty. It will still shift gears and drive. I'm going to start pulling connectors by the transmission apart shortly to see if that fixes it and if it doesn't, I can rule that out. The blower motor works good and I just put a new resistor in. So I have ruled that out now. okay... so because I'm a B2000 newb... I think I have found what it is you are talking about - but I am not sure. I definitely cannot determine what wires are to the blower motor... I'm probably looking in the wrong place. I kinda figured the blower motor was under the glove box/dash based on the pictures and began disassembling for the hotwire test. I have managed to get the cover and hose disconnected - but can't get the damn plug disconnected from it. It doesn't feel like it's one of the awesome push-clip-and-pull-at-the-same-time connections... but I got fed up with it and left it where it was. Once I get the damn thing disconnected, I will test and go from there. 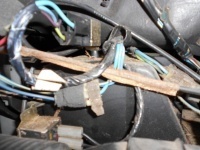 I am still stumped on the location of my resistor module though - none of the pictures I found online match what I'm seeing behind the glove box... I'll probably kick myself once I actually find it. See this from the manual, don't know if I have a real photo, but I had trouble finding it at first too. The screws do face straight down, as shown. There are two wire harness connectors to it. 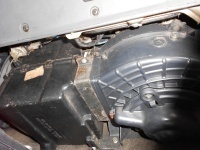 The photo which shows a silver-colored box with two white terminal connectors on its right is the de-icer switch for the evaporator box; it has a sensor which sits in the evaporator coils through a small hole in the evap case. Post was last edited on Nov 08, 2012 09:11. This post has been edited 1 times. 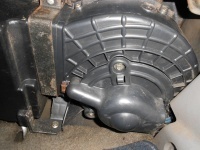 okay... i did get my blower motor removed this morning, and after a test - it is completely dead. I also am still trying to determine why outdoor air seems to be flowing freely through my leftmost and rightmost vents inside the truck... the open and close switches seem to be functioning properly upon inspection with the glove box removed - but without more disassembly, I can't really verify what is actually happening. I may have to disassemble my dash to fix that problem. 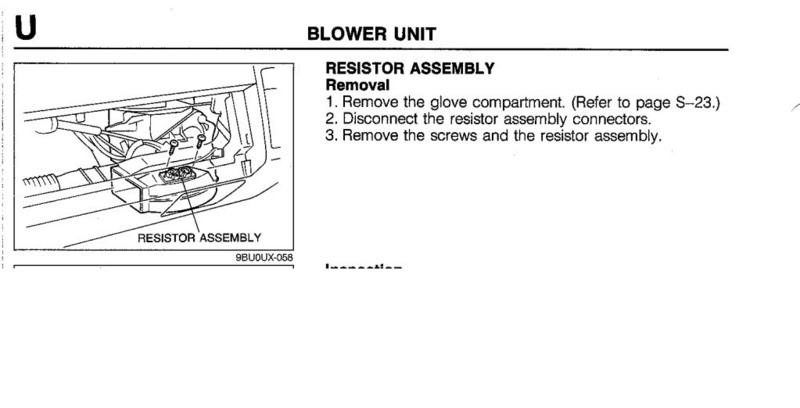 This also sounds like a blower resistor issue. IIZUKA is also currently having the same symptoms on his.